Armed with nothing but their fire breath, these reptilian fliers are no match for the firepower of their technologically superior enemies. 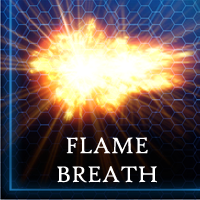 Despite one well placed blaster shot being able to take them out of the sky, huge swarms of Cloudrunners can burn through the hulls of enemy craft with their flame breath. Their speed and ability to make sudden maneuvers also makes them good decoys for homing missiles.